A well known favourite, robust upright bushy habit. 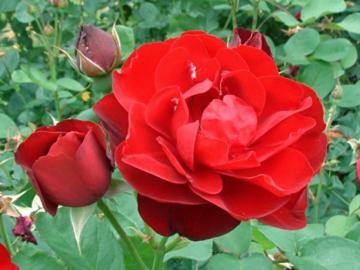 Freely produced deep red flowers with a faint but attractive perfume. Relatively disease resistant.